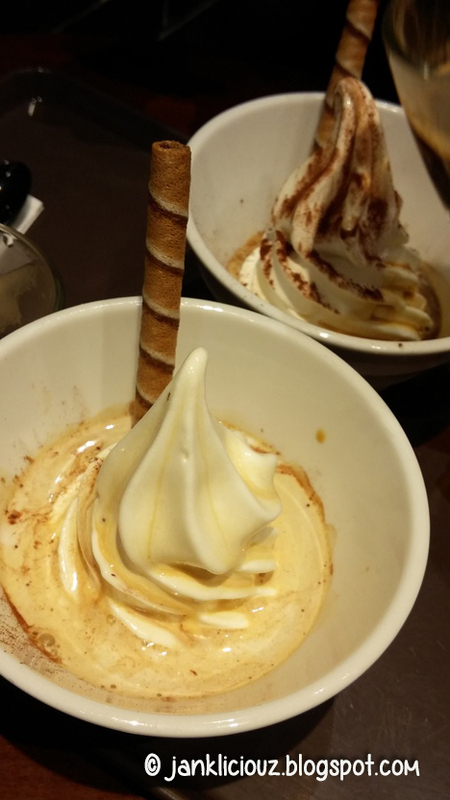 Here we go - another cafe review! 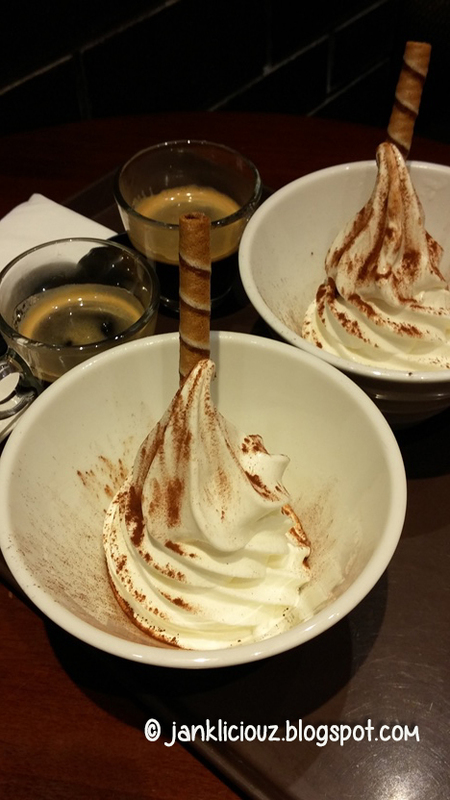 Recently I have been checking out quite a bit of food and coffee places, and really enjoying that! 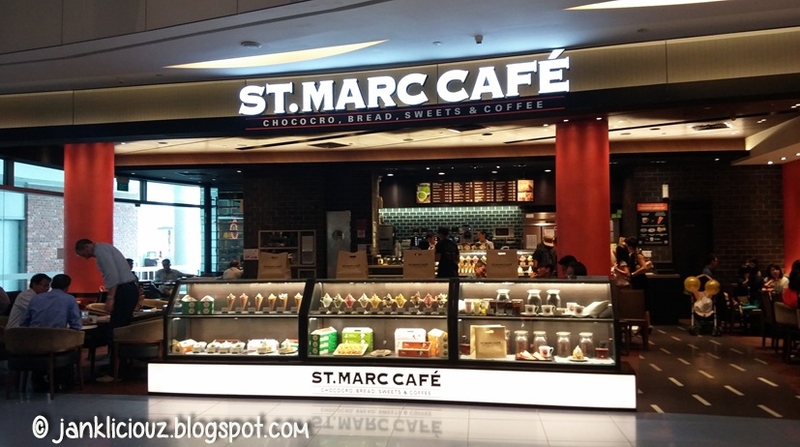 Today I'm at St. Marc Cafe, in Harbourfront. 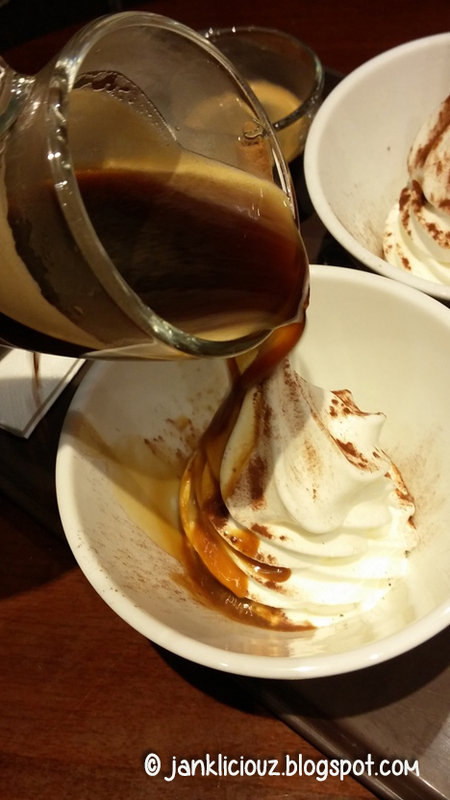 Don't let the name of this cafe fool you, it's totally Japanese! 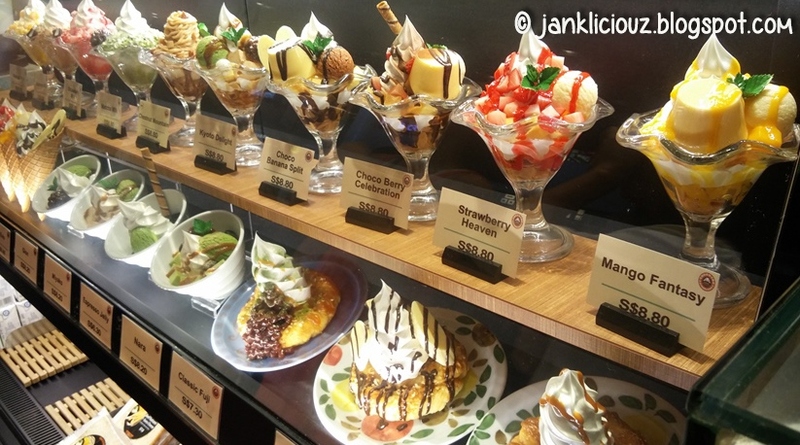 Here, they specialise in their desserts and pastries, as well as their green tea latte, which is a popular favourite here. 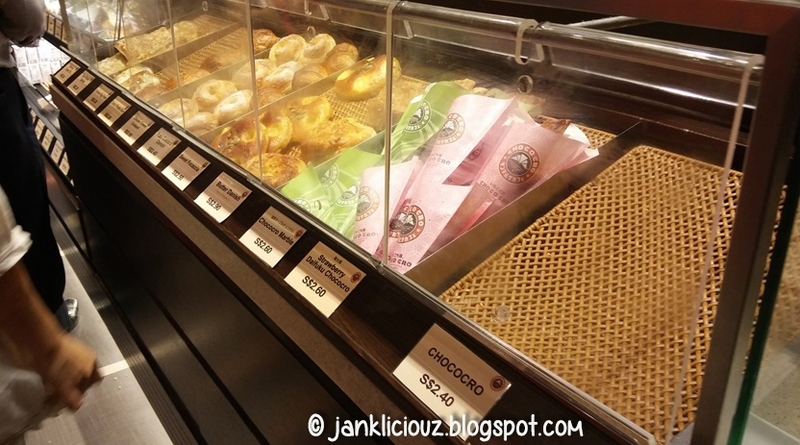 If you do come here, I suggest the Chocolate Chococro ($2.40 each), which is their signature item! 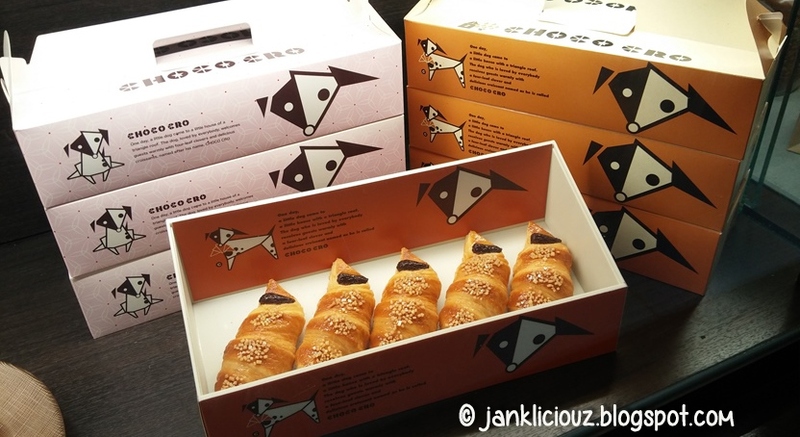 Chococro is made of best blend of Ghana Beans and finest Ecuador beans, wrapped with crispy rich buttery flavor croissant dough. Check out the Chicken Egg Salsa ($3.30)! 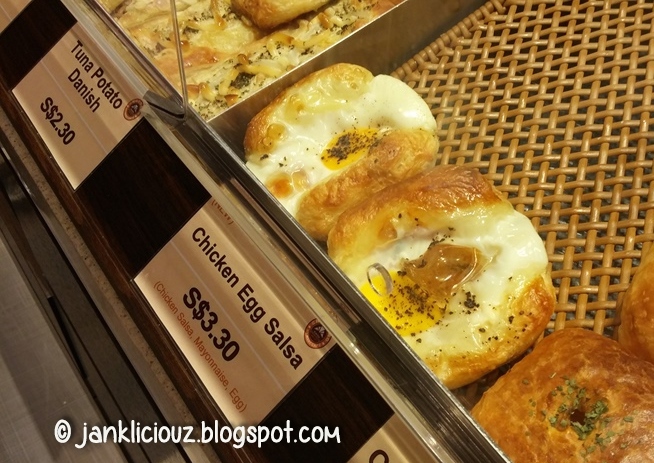 It reminds me of S Korea's egg bread. haha. 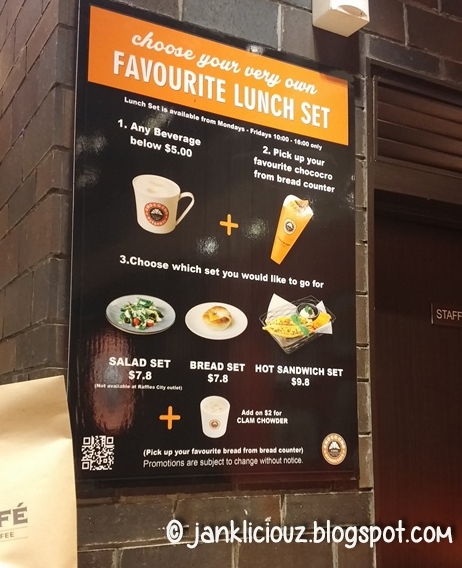 They also have things like lunch sets to cater to the working crowd! 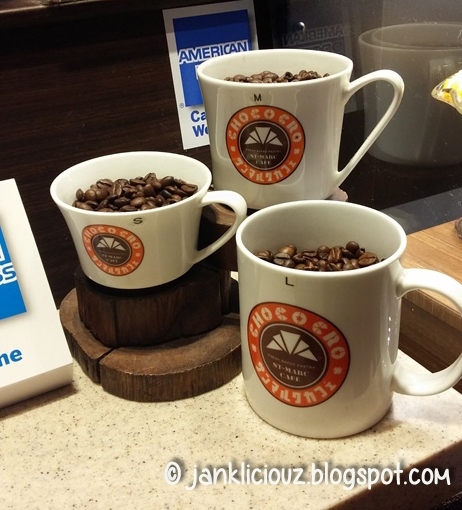 Their cups have 3 sizes (hot drinks) - I like the medium sized cup as that's really just the right amount. Especially for the green tea latte, because the green tea taste is quite strong and thick, you may not want to order the largest cup. 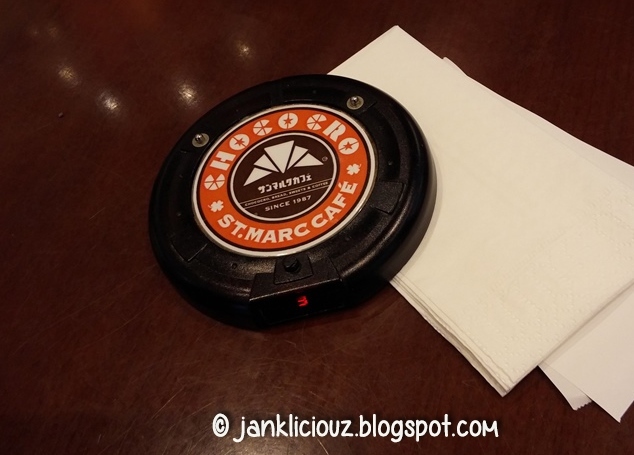 They will issue you a buzzer so you don't have to stand around the counter to wait for your order. Once ready, the buzzer will buzz (duh.) and just head to the counter to collect your food/drinks. But I loved the Little Fuji! 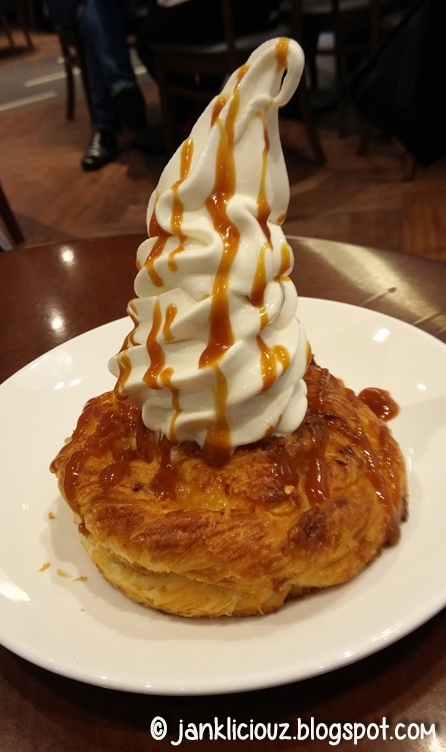 The crispy pastry is topped by what looks like a mini snow mountain of vanilla ice-cream on it and drizzled with caramel sauce! It was very good.